Therese Turner-Jones, general manager for the Caribbean Country Department of the Inter-American Development Bank (IDB), advised that the advent of new technologies should not cause persons to resist automation, but, instead, should create a platform to help individuals unlock untapped potentials and prepare human resources to effectively function in an evolving environment. Speaking at a recent Productivity and Continuous Improvement Conference, which was hosted by the Make Your Mark Consultants group, Turner-Jones said that in an era of innovation, artificial intelligence and robotics, bold, effective strategies must be adopted to engender productivity and continuous improvement. “Innovation is actually no longer just a buzz-word thrown about by business executives seeking to be trendy. There is, in fact, a wave of public- and private-sector firms across the globe that are innovating; creating new ideas, devices and methods that deliver value and solve problems,” she said. Turner-Jones, however, noted that it was unfortunate that with the constant development globally, innovation levels in the Caribbean region were relatively low. She said, on average, roughly 19 per cent of Caribbean firms reported having engaged in some form of innovation in the past three years. “The range varies from the lowest at 4.8 per cent of firms in Dominica, to the highest at 53 per cent of firms in Guyana. Jamaica had 20 per cent of firms reporting innovation,” she said. “Furthermore, only 10.3 per cent of firms in the Caribbean have an innovation department: the range varies from the lowest at 1.6 per cent of firms again in Dominica to the highest, at 36.7 per cent of firms in Guyana. 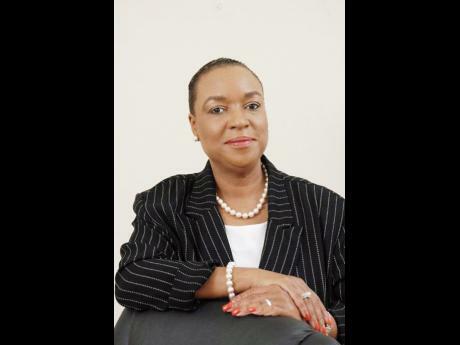 Here in Jamaica, only 13.2 per cent of firms have an innovation department,” she explained. Jacqueline Coke-Lloyd, general manager of Make your Mark Consultants, expressed similar sentiments, noting that there are many issues that affect employer productivity, including lack of direction, lack of measurement, inadequate training and unrealistic expectations.